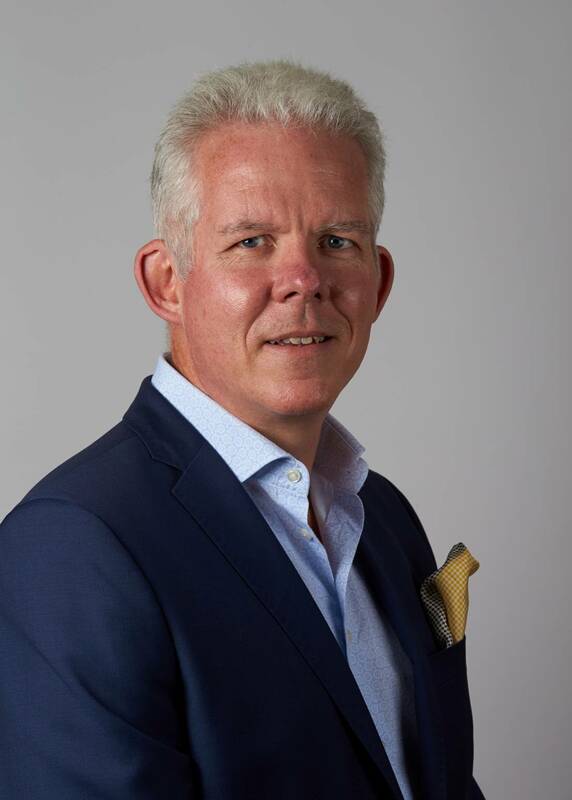 Professor Karl Gaffney (MB, BCh, BAO Hons, FRCPI, FRCP) has been a Consultant Rheumatologist in Norwich since 1995 where he has established a large multidisciplinary service for over 1000 patients with axial spondyloarthritis (including ankylosing spondylitis). He is an honorary professor at Norwich Medical School, chair of the medical advisory board and trustee of the National Ankylosing Spondylitis Society, founder member and treasurer of BRITSpA, chair of the British Society for Rheumatology (BSR) axial SpA Biologics Guidelines Committee, member of the editorial board of Rheumatology for the Oxford University Press and an invited member of the Assessment of Spondyloarthritis International Society. 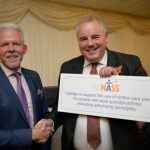 He has also represented the BSR and NASS at the National Institute for Health and Care Excellence (NICE) appraisal of biological therapies since 2007. 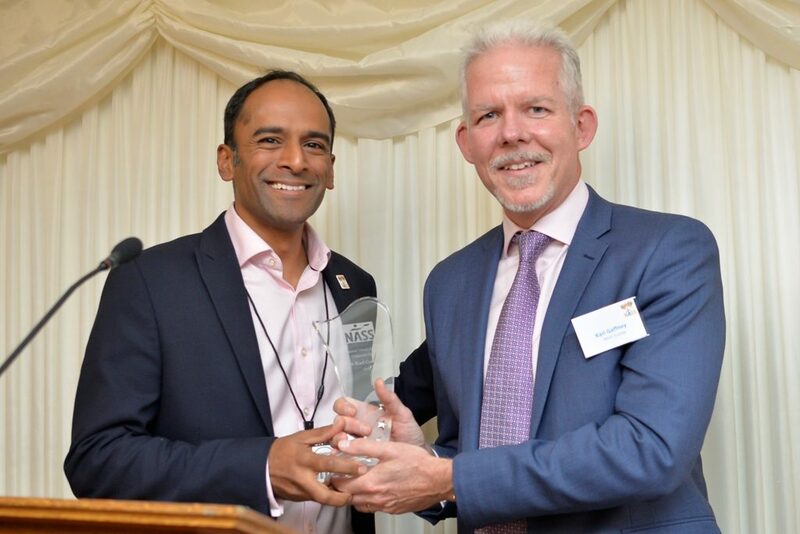 He was Rheumatology Service Director from 2008 until 2016, Director of Postgraduate Education in Norwich between 1999 and 2005, and Director of Rheumatology Training, Eastern Deanery between 2001 and 2007. 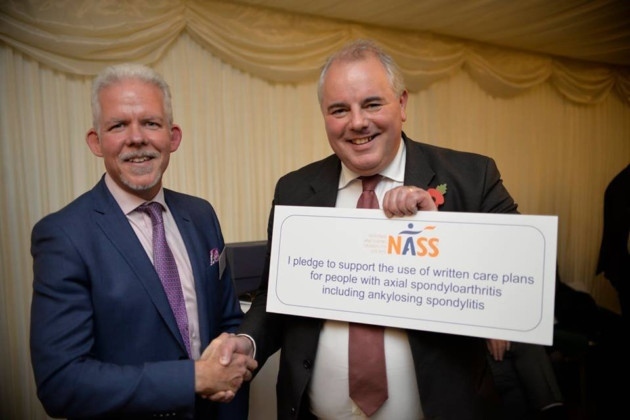 With NASS he has co-developed primary and secondary care educational programmes for healthcare professionals including Back Pain Seminars, Meeting in a Box, Back in Focus, Solving Spondyloarthritis, RCGP e-learning modules and Back Pain Plus. These initiatives have been awarded national and European awards for excellence in healthcare communication. 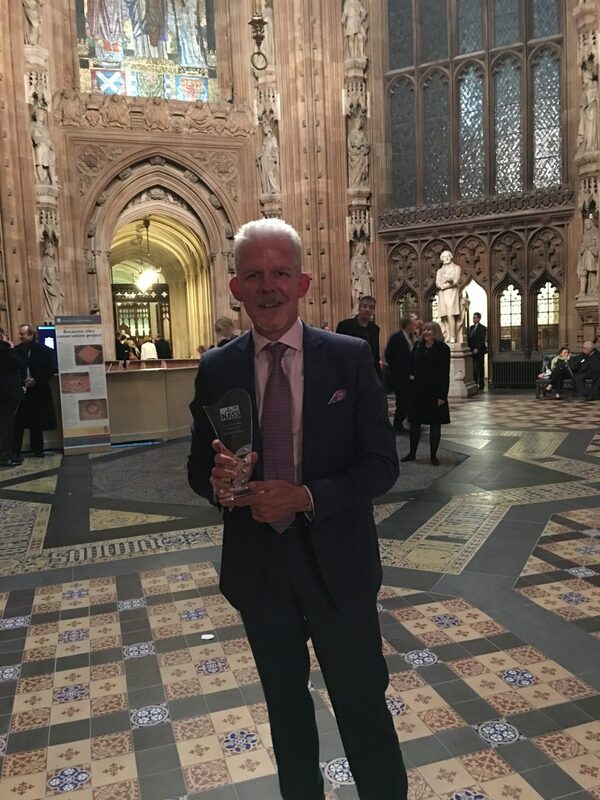 In November 2016 he was recognised as an “Undercover Hero” at the inaugural NASS patient choice awards in the House of Commons. 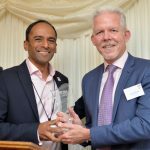 In 2017 he developed a Spondyloarthritis Academy to raise awareness and improve clinical services for people with axial SpA in the UK . His current research interests include epidemiology, dose optimisation and extra-articular manifestations of axial SpA. He oversees a large clinical trials programme and collaborates with other national and international centres. He has published over 100 papers and has been an invited speaker at national and international meetings. Honorary professor at Norwich Medical School, University of East Anglia.